“Anthems of the World,” Boston Landmarks Orchestra’s free Esplanade concert on Wednesday, celebrates multicultural musical outpourings: ‘Finlandia’ symbolizes Finnish independence. Dvořák’s urging for American composers to borrow from native sources led Amy Cheney Beach to comply with her Gaelic Symphony. Gustavo Dudamel has raised Márquez’s ‘Danzón No. 2’ to popularity as one characteristic of all orchestral dances. The young musicians of Zumix feature in the Landmarks-commissioned ‘Aleppo Songs’ from Gonzalo Grau. Finally, Dvořák’s Eighth Symphony expansively transports us to Bohemia. Rain date: August 10. If it sounds like an anthem, that is because it was meant to. Sibelius wrote Finland Awakens for a covert political demonstration in Helsinki in 1899 in a series of short tableaux on Finnish history. That title proved not-covert-enough for the Czarist Russian government exerting its harsh hold over Finland at the time. So Sibelius changed the title several times over the course of the year—Happy Feelings at the awakening of Finnish Spring; A Scandinavian Choral March; Nocturne—before settling on Finlandia. But his Finnish compatriots knew what it was about. The world still loves singing the great tune that lies at the heart of Finlandia. While Finlandia does not carry the stamp of his mature style, the music is unmistakably Sibelian. The massive chords of the opening—representing presumably the groaning weight of oppression—have a primordial sound typical of Sibelius’ later music, especially music associated with nature. Energetic motives are followed by inert moments with no real action at all—another tendency of Sibelius. And the musical ideas in Finlandia flow with such originality that it is hard to explain why the music seems so coherent. This was a key aspect of Sibelius’ later style, as he became increasingly curious about questions of musical form and less interested in providing answers. 2017 marks the 150th anniversary of the birth of Amy Beach, the “first woman composer of America.” Born Amy Cheney in Henniker, New Hampshire, she became proficient as a pianist and composer through instruction with her mother, an accomplished pianist and singer. When she was seven, Amy’s family moved to Chelsea, Massachusetts where she studied piano with Carl Baermann, a student of Franz Liszt. She continued to pursue composition by following her own muse, remaining largely self-taught throughout her life. Boston’s largest musical organizations recognized her talents early on. She performed the Chopin Second Piano Concerto with the Boston Symphony at the age of seventeen. Handel and Haydn Society premiered her Mass in E-flat in 1892, when Amy was twenty-four years old. Both performances were met with glowing reviews. When her Symphony in E Minor, Gaelic, was premiered by the Boston Symphony on October 30, 1896, her reputation as a major American composer was assured. She was now “one of the boys,” composer George Chadwick wrote. Of the composers who made up the ‘Boston Six’—Chadwick, Foote, MacDowell, Paine, Parker, and Beach—Amy was the youngest, and obviously, not a boy. Even today, it is almost impossible to mention women who have reached the top of their profession as composers without discussing the fact that they are women. The same is true in my field, conducting. The dazzlingly gifted singer/conductor Barbara Hannigan broke off her association with the legendary Finnish conducting pedagogue Jorma Panula when he suggested publicly that there was no need for female conductors. If any insisted on pursuing that path, he argued, they ought to stick to “feminine” music like Debussy and Ravel. In the last three seasons the Landmarks Orchestra has performed eleven works by women composers. We have been proud to receive two grants from Women’s Philharmonic Advocacy, a not-for-profit organization dedicated to “leveling the playing field” for women in classical music. Musicologist Liane Curtis—President of WPA and Amy Beach scholar—led an effort by the Boston Women’s Heritage Trail to place a plaque on Amy Beach’s Commonwealth Avenue home in 1994. And in 2000, Boston paid further tribute to its native daughter by adding Amy Beach’s name to the facade of the Hatch Shell. Within a year of making that statement, Beach began work on her “Gaelic” Symphony, built from themes she found in a book of traditional Irish melodies, as well as original themes she created in a similar style. To her, this music sounded more like home than the spirituals and plantation songs of the South. Any authentic musical representation of Boston today would have to embrace both traditions, as well as countless others. The Irish folk melody that animates the symphony’s second movement is a Gaelic love song. An outline of it is played in the beginning by a solo horn, and then a solo oboe sings out a full verse. Soon the theme is transformed into a quicksilver variant reminiscent of the scherzo in Mendelssohn’s Third Symphony, which has its thematic roots in nearby Scotland. The movement concludes with a restatement of the original tune, this time on English horn—a choice of instrument that inevitably summons memories of Dvořák’s New World Symphony. There is a two-step liveliness to this music that we will encounter again in the final week of our season when we present dancers from the Harney Academy of Irish Dance. Based on a melody by Sayed Darwish, the text of this song describes an idyllic rural setting where the rising sun accompanies the milking of the water buffalo, and a flirtatious young man is taken by the beauty of a dark-haired young lady. This movement is a re-imagining of an Antiochian (Syrian Christian Orthodox) melody that I found in a collection entitled Beth Gazo. In this movement I imagine the listener in a neighborhood of the old city of Aleppo where the sound of a loud church bell is heard: the opening and recurring four-octave D-sharp. After the dissipation of the bell’s tone, a faintly audible choir from behind the closed doors of the church draws the listener closer, and the choir’s sound becomes louder. Upon entering the church, the bell’s sound fades into the background and the choir’s sound comes to the fore. A moment of intensity follows once inside the church where the hymn envelops all thoughts and sense of place. One common theme in qudud texts is love, and its often unrequited consequences. The song on which this movement is based is no exception. However, its title and lyrics might also address the desperate situation of Syrian refugees; despite loving one’s home, there is only so much suffering one can stand before making the decision to leave. Arturo Márquez’s Danzón No. 2 has rapidly become one of the most frequently performed orchestral works by any living composer. It is admired—adored even—throughout the world for its propulsive rhythms, sweeping lines, irresistible sensuality, and the warmth of its Cuban-Mexican soul. One of its delights is the orchestration, which includes wonderfully idiomatic solos for clarinet, oboe, piano, violin, trumpet, and piccolo. The Danzón No. 2 is a specialty of Venezuela’s Simón Bolívar Symphony Orchestra and its star conductor Gustavo Dudamel. In our performance, we are joined by the stellar young musicians of the Boston String Academy, led by an outstanding musical team of co-directors: violinists Marielisa and Mariesther Alvarez, who also hail from Venezuela, and Peruvian-born cellist Taide Prieto. We are thrilled to perform alongside one of Boston’s elite orchestral training programs for the first time. Pressure – We are pressured by society to dress a certain way, act a certain way, know what we want to do with our lives at a young age, achieve, get a good education etc… This issomething that all young people face. Our grandparents were pressured to live their lives the way their parents wanted them to,and we also feel the pressure to succeed in our parents’ eyes. Passion – At this point in our lives, part of the pressure we feel is a demand to find our passion and translate that into a career. Right now, our passion is music. Music is what we think about when we wake up and when we go to sleep. It helps us translate our emotions, ideas, and views of the world into concrete ideas and standpoints. We all want to succeed but we also want to live a life we love. Production – Production for us is creation —creating music, art, and concepts that we can then use to tell a story that impacts others. This is where we focus our hard work; it is the string that ties everything together, where we can release the pressure of the world into our passion and grow as activists. 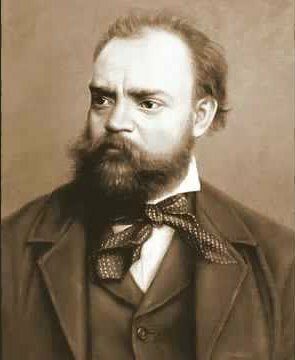 The Dvořák Eighth opens with an expansive melody in G minor for cellos, with support from clarinets, bassoon, and horns. It is music by a composer with a generous heart and an enormous melodic gift. The music settles on a major chord as a separate theme springs up in the flute, one with a new color, a new register, and a new lease on life. It is as if someone has opened a window and let a fresh breeze in. Soon the mood shifts again as the strings launch an exuberant crescendo. A dramatic flourish in the timpani brings this paragraph to a close, and then yet another theme—still in G major—is launched by the lower strings. Is this the main subject, or was that the flute tune? Or was the main subject the sad opening melody of the cellos? A calm now settles in on the strings with a transitional idea, and an attractive dance-like tune springs up in the woodwinds, at least the fifth independent tune to appear in just a few minutes of music. The form of the symphony is recognizably sonata form, but the profusion of themes gives the music an improvisatory quality. Dvořák is so full of ideas that he cannot limit himself to the usual two or three main themes per movement, as most composers do, but treats us to one fresh idea after another. It was the astounding ease with which he created melodies that so impressed Brahms—and made him more than a little envious. The second movement is a scene in the country, or at least its irresistibly fresh character seems to spring from the soil of Dvorak’s beloved Bohemia. With the third movement, Dvořák again writes music half in G minor and half in G major. It opens with a sad, lilting waltz, followed by a sweet and beguiling tune in the Trio, introduced by flute and oboe. A surprise Coda injects considerable adrenaline into the Trio theme. Thanks to Christopher Wilkins for paying homage to Amy Beach’s 150th birth anniversary. As former secretary of the Boston Women’s Heritage Trail, I’m grateful for the mention of that organization’s and musicologist Liane Curtis’s roles in adding Beach’s name on the Hatch Shell. Slight correction to installation details of my late husband’s plaque at Beach’s former residence. As previewed by Richard Dyer in his October 28, 1994 Globe article “Amy Cheney Beach: commemorating a woman of note,” the effort was due to pianist Virginia Eskin’s longtime devotion to Beach’s works. Dyer credits her as the driving force behind the bronze bas relief at 24 Commonwealth Avenue: “Boston has been a center of the revival of interest in Beach’s music, thanks in large measure to the advocacy of pianist Virginia Eskin, who has recorded solo music, chamber music, and songs.” Eskin still features the composer in recitals and lectures throughout the Nation. Thank you, Maestro Wilkins, for your insights into tonight’s concert! I appreciate having my work on Beach’s behalf acknowledged, but it was pianist Virginia Eskin who led the efforts to have the plaque placed on Beach’s home at 28 Commonwealth Ave (working with the Boston Women’s Heritage Trail). Eskin helped me as I started to figure out how Beach’s name might be added to the 87 composers’ names that decorate the Hatch Shell, and she put me in contact with the BWHT. That goal was reached through their help and guidance, and through that of many individuals and organizations including the The City of Boston Women’s Commission, and the Brandeis Women’s Studies Research Center. And of course, Maestro Keith Lockhart and the Boston Pops played a critical role, and celebrated the actual unveiling of Beach’s name during a Pops concert which included a performance of her music (July 8, 2000). So happy that Beach’s music will again be heard at on the Esplanade!